Wishing you could sit on the beach with a fruity drink? That's how this piece makes me feel! 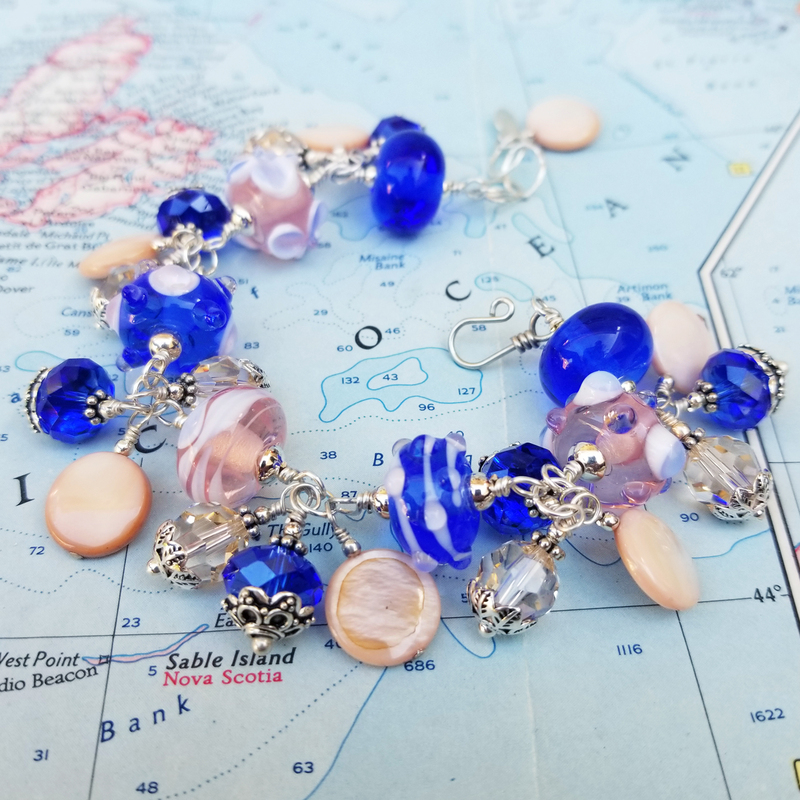 I've started with beautiful handmade lampwork beads torched by my friend Suzette Celestin and accented them with Swarovski crystals and mother-of-pearl beads, all wrapped up in sterling silver. I've finished it with a hand-forged hook and chain clasp and my signature sterling Happy Shack charm. 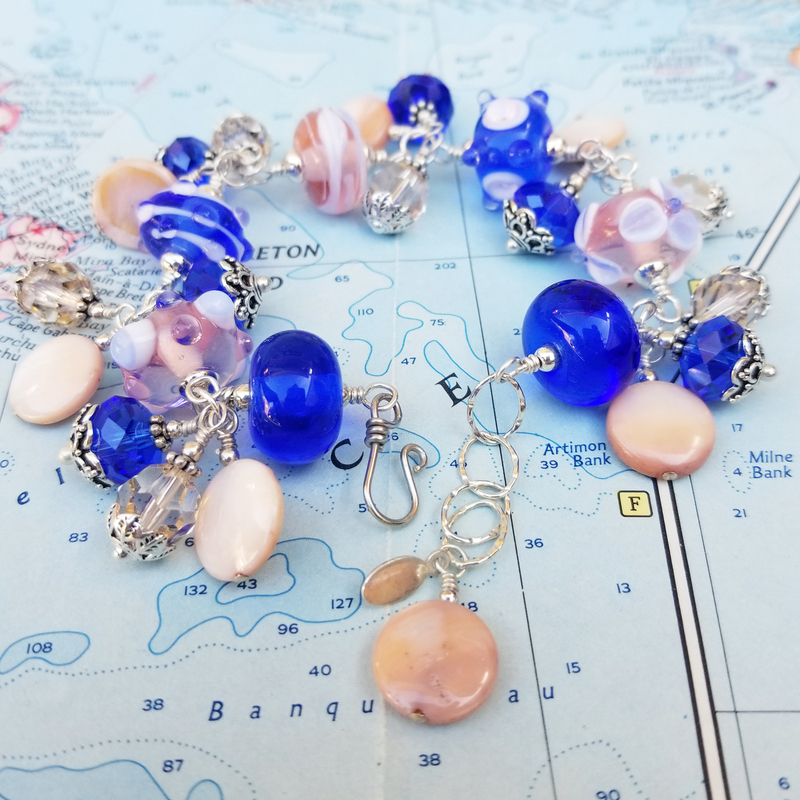 This bracelet will fit a 6 1/4"-7 1/4" wrist comfortably and can be resized as needed. Click on large images to enlarge them further.